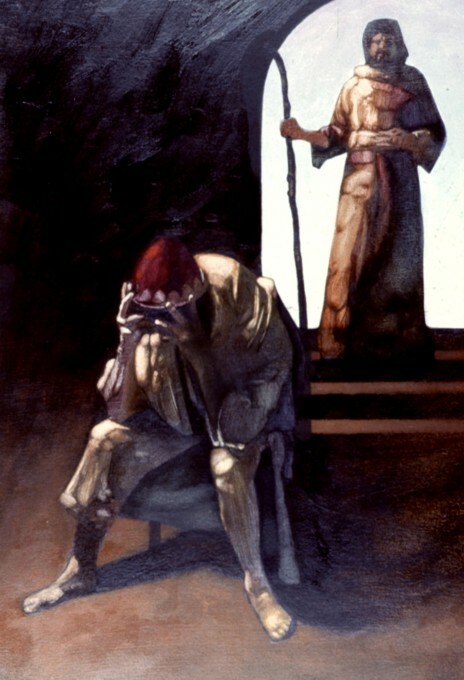 When David sinned against Bath-sheba and her husband Uriah, God sent the Prophet Nathan to tell David of his sin and punishment (2 Samuel 12). The chapter again opens with the plea to listen to wise instruction; and there are continued references to “Lady Wisdom” and “Lady Folly.” Verse 4 advises the reader to keep wisdom as a sister, and insight as a friend. His intimacy with discernment and understanding will keep the young person (and the older person) from adulterous behavior if their heart is in the right place. The folly of succumbing to seduction here is applicable to male and female, young and old, the lonely,or the simply innocent or gullible. The smooth talk, and the seductive looks and dress are equally tempting to all categories of people. Notice the disconnect between the woman’s declaration of having performed her service to God, and the way she is living her life. This is the same sort of contradiction spoken of in Isaiah 1:10-20, and shows how people may represent themselves (and even believe) as though they are trying to be honest and upright, when in fact their behavior says otherwise. The message in the end is that someone promoting the desire for lust may say or do anything to trap their prey – to pull the victim into their desires with their words. The woman in these verses does not really care about this young man, nor did she seek him out in particular, as she suggests. Any other young man may have been the target of her desires. How often have young women (and men) been fooled by the flattering expectations that she engenders in this young man? But the scripture reminds us of the path to destruction, down which the victim of these advances is being led. Adultery takes from them that which was never intended for the adulterer, but for their spouse, when the time comes.